If you're learning about probability, conditional probability is bound to come up. This tutorial explains conditional probability and shows you how to find it! 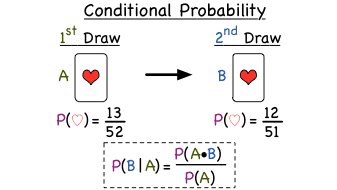 Conditional probability is used to find a probability in all sorts of everyday situations! This tutorial shows you one example of how to find the conditional probability in a real world problem.